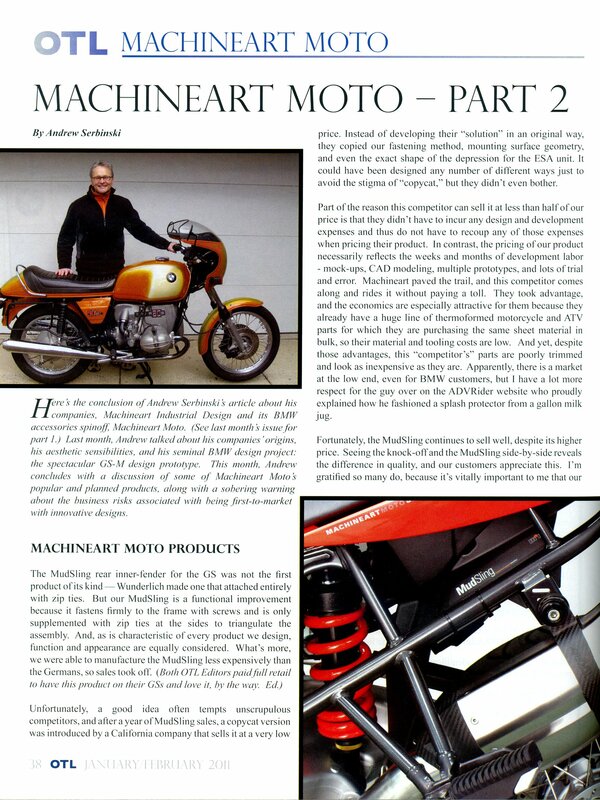 Here’s the conclusion of Andrew Serbinski’s article about his companies, Machineart Industrial Design and its BMW accessories spin-off, MachineartMoto. Last month, Andrew talked about his companies’ origins. His aesthetic sensibilities, and his seminal BMW design project: the spectacular GS-M design prototype. This month, Andrew concludes with a discussion of some of MachineartMoto’s popular and planned products, along with a sobering warning about the business risks associated with being first-to-market with innovative designs. Unfortunately, a good idea too often tempts unscrupulous competitors, and after a year of MudSling sales, a copycat version was introduced by a California company that sells it at a very low price. Instead of developing their “solution” in an original way, they copied our fastening method, mounting surface geometry, and even the exact shape of the depression for the ESA unit. It could have been designed any number of different ways just to avoid the stigma of “copycat,” but they didn’t even bother. Part of the reason this competitor can sell it at less than half of our price is that they did not have to incur any design and development expenses and thus do not have to recoup any of those expenses when pricing their product. In contrast, the pricing of our product necessarily reflects the weeks and months of development labor-mock-ups, CAD modeling, multiple prototypes, and lots of trial and error. Machineart paved the trail, and this competitor comes along and rides it without paying a toll. They took advantage, and the economics are especially attractive for them because they already have a huge line of thermoformed motorcycle and ATV parts for which they are purchasing the same sheet material in bulk, so their material and tooling costs are low. And yet, despite those advantages, this “competitor’s” parts are poorly trimmed and look as inexpensive as they are. Apparently, there is a market at the low end, even for BMW customer, but I have a lot more respect for the guy over on the ADVRider website who proudly explained how he fashioned a splash protector from a gallon milk jug. Fortunately, the MudSling continues to sell well, despite their higher price. Seeing the knock-off and MudSling side-by-side reveals the difference in quality and our customers appreciate this. I’m gratified so many do, because it’s vitally important to me that our customers know that the products they perceive to be beneficia and want to buy came onto the market because my company identified needs and invested the time and money to come up with an original, functional and aesthetically pleasing design approach to fill those needs. Another case in point is the newly introduced MudSling-AVANT front-fender extension for the R1200GS and F800/650GS. We designed the Avants to be installed without having to drill the front fender, something many riders are understandably reluctant to do, especially on a new bike. We identified easy installation without the anxiety of potentially risky surgery as a need that drove the design solution. Instead of a drill, our solution only requires a Torx driver. And the shape of our product is really innovative too. Competing fender extensions provide additional length, but all taper toward the bottom and thereby negate some of the benefit because they eventually become narrower than the front tire. We made the AVANT wide at its bottom – wider than the tire – to increase the splashback surface area. To visually compensate for the width, we added flared- back winglets to the outer edges, which decreases the impression of width. The shape not only provides a functional benefit, results in a characteristic brand appearance as well. The MudSling-AVANTs cost more than the other front-fender extensions out there that require drilling, because the AVANTs reflect the time and effort we put into improving the product type. We’ve applied for both design and utility patents. Over the years, I’ve ridden the big GS in both its GSM and stock BMW configurations and learned to love the big bike for what it does so well. 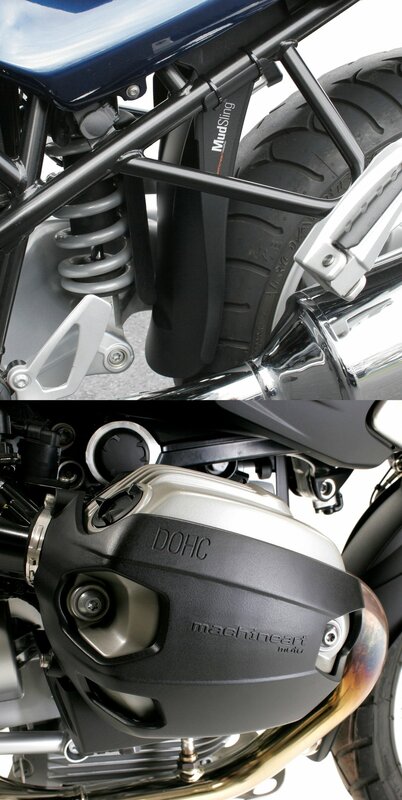 Most recently, I bought a 2010 GS, both to ride it and so I could develop a DOHC version of our popular X-Head cylinder guards, among other items. My new GS is largely stock except for the MachineartMoto parts I have mounted on it, and it appeals to me in the way I think BMW’s designers intended – like a rough-hewn movie hero with a heart of gold. I still don’t regard it as beautiful (the GSM exists to satisfy that level of my aesthetic taste), but the stock bike does have character, and I enjoy it for that. And I do find it interesting how one’s impressions of a motorcycle, or anything else in life, often change to be more positive the more we get to know and understand and respect it. Machineart Moto, born out of an industrial design business and a love for BMW engineering, now has a life of its own dedicated to designing and producing specialized products for BMW twins. More new ideas are in development, and my intent, as always, is to capture that part of the market that appreciates originality and style in the design of functional solutions of practical rider needs. 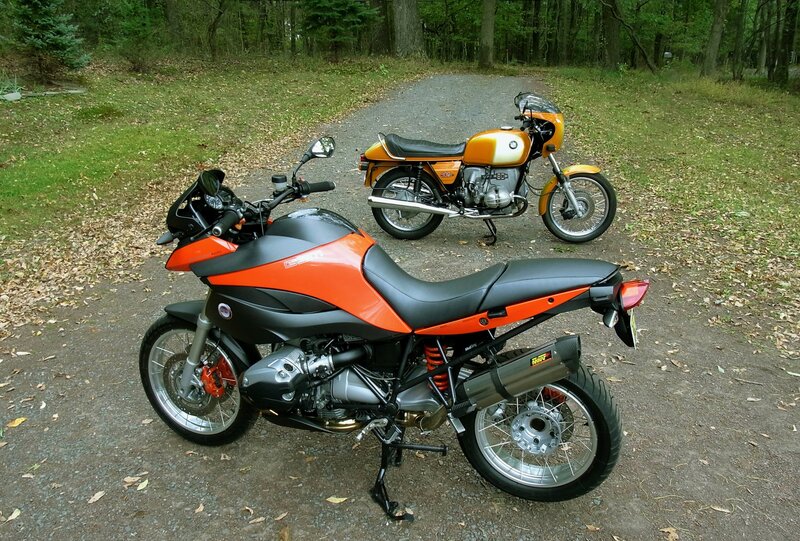 My R90S remains the sweet link to that blend of style and performance. That design edge is what we have to sell.